If you were to ask someone what they thought to be the hardest job in football, you could get back several different answers. Some might say that nothing is tougher than being the manager calling the shots and being first in the firing line when results plummet. Others may suggest that being the benefactor of a club is as high-stakes as it gets, with owners pumping millions into a club and running the risk of getting nothing except abuse out of it. 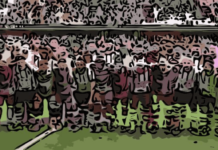 Managers and chairmen can be vilified, and there are no shortage of case studies to this effect, but they are just as likely to be worshipped if they leave a lasting effect on a club. Referees, on the other hand, tend only to be talked about when they make controversial decisions. If an official was to make the correct call every time in a match, nobody would mention them in conversation afterwards. 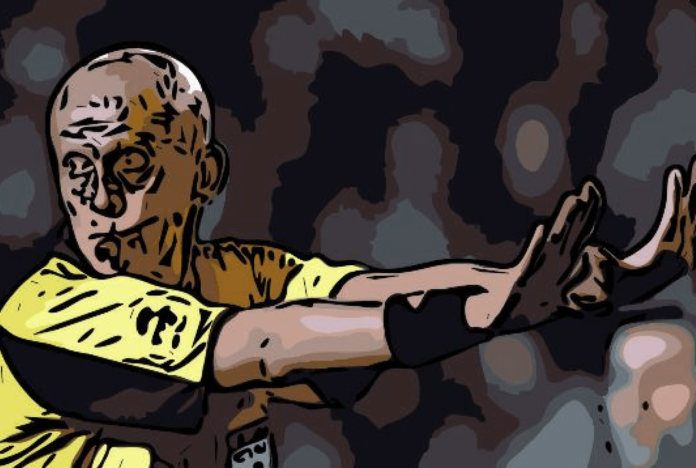 One man who bucked the trend was Pierluigi Collina. The Italian official is instantly recognisable with his completely bald head and almost vein-bursting eyes, a combination which made him look incredibly fearsome when laying down the law to misbehaving players. It wasn’t just Collina’s appearance which made him stand out in the world of football, though. 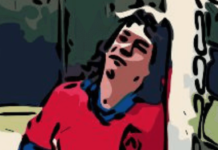 In a sport where almost every official is despised by some group of supporters, he consistently drew widespread acclaim for the calm, composed manner in which he refereed matches. He was persuaded as a teenager to take a refereeing course, during which he demonstrated an innate knack for the job. After working his way through Italy’s numerous regional divisions, he reached the third tier of the pyramid at the age of just 28 and, three years later, he was fast-tracked into Italy’s group of referees. It was around this time that Collina’s hair disappeared, the Viareggio native developing severe alopecia which gave him the look with which he would become synonymous. If referees in England seem to be given a hard time of it, they’re frequenting a holiday camp in comparison to what their Italian colleagues are put through on a weekly basis. Match of the Day has segments where refereeing decisions are discussed; Italian TV has entire shows dedicated to dissecting referees’ performances with a fine tooth comb, with the resident analysts showing no mercy on the men in black. Collina, though, was rarely subjected to the same vitriol as his peers, a remarkable feat in a country where officials tend not to be awarded the most humane of treatment. It seemed inevitable that he would take charge of the biggest fixtures in the game and so it proved. He was the man in the middle at the Nou Camp in 1999 when Manchester United stunned Bayern Munich with two stoppage-time goals to win the Champions League and, three years later, Italy’s early elimination from the World Cup opened the door for him to take charge of the final between Brazil and Germany. He ran both of those games sensibly and without rancour, although he will be linked with plenty of bad memories for the likes of Oliver Kahn, Thomas Linke, Jens Jeremies and Carsten Jancker, all of whom were members of those respective Bayern and Germany squads. Collina also took charge of the Nationalmannschaft’s 1-5 hammering by England in Munich in September 2001, so he certainly didn’t bring luck to German football. When he reached the mandatory refereeing retirement age of 45 in 2005, the Italian federation were prepared to grant him special dispensation to keep officiating during the 2005/06 season but withdrew this after Collina’s involvement in an advert for Opel, who sponsored AC Milan at the time. This potential conflict of interest ultimately ended his refereeing career, which was most certainly not an appropriate way for such a stellar official to bow out. Collina’s standing in the sport was such that he was frequently invited to take charge of charity matches after retirement, while many of football’s biggest names spoke highly of him. In his prolonged career, he was never involved in a controversial incident which would define his time as a referee. How Graham Poll, the man who failed to send off Croatia’s Josip Simunic until giving him a third yellow card in one match, or Howard Webb, who neglected to send off Nigel de Jong for threatening to rupture Xabi Alonso’s ribs in the 2010 World Cup final, wish they could say the same. Collina was so widely respected by those in the game not only for his sensible handling of matches but for the respectful manner with which he treated players. If he was in charge of a match where most players spoke a language he didn’t know, he took it upon himself to learn some of that language. He quickly became fluent in all the main European tongues, which helped no end to keep a lid on Champions League and international matches. There are three examples which neatly sum up why Collina was a referee without equal. One concerned a Serie A outing where a player scored in what was a derby match, his first game since returning from a career-threatening injury, and leapfrogged the perimeter advertising to traverse the running track and celebrate with fans. Such extravagant celebrations are usually punished with yellow cards, but Collina refused to issue one, stating afterwards that it would have been the wrong thing to do in the circumstances. That drew enormous praise from Italian football observers, not least because the referee knowingly took the risk of angering his assessors in the stands in favour of showing empathy towards a player who displayed natural emotion upon scoring in a derby. Common sense won the day; that doesn’t happen a lot with officials. Collina was also a very humble referee, as evidenced from the 2002 World Cup final. 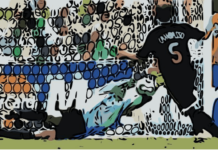 He admitted in his autobiography that, after giving two yellow cards in the first nine minutes in the Yokohama showpiece, he was in danger of setting precedents that would lead to a frenzy of bookings and potential red cards. He took a far more lenient stance for the remaining 81 minutes, so much so that he did not reach into his pocket any further during the match, which flowed at a good tempo and remains the last World Cup final not to feature at least one moment of controversy. Most praiseworthy of all, though, was his refusal to be intimidated by notorious former Juventus president Luciano Moggi. The controversial owner of the Turin giants was the central figure in the 2006 Calciopoli match-fixing scandal and he was able to persuade most Serie A referees to favour his club. Collina, however, would not be overawed by Moggi’s bullying tactics, with the latter bemoaning him as being “too objective”. To a referee, that adjective is high praise indeed, and Collina was lauded for having the courage to stay true to his principles and incur the wrath of the irascible, and now forever disgraced, Moggi. Collina remains involved in football through his association with the Ukrainian Federation, as well as his membership of UEFA’s Referees Committee. He also acts as an unpaid consultant to the Italian referees’ association, showing that even 13 years after his retirement, his services continue to be embraced by Italian football. It would be great for the sport if there were more referees of the integrity, composure, humility and decency of Collina, but I’m not holding my breath for any such figure to emerge. He was a referee who always gave respect to those involved in the matches he officiated and, in turn, he won an unprecedented level of respect for a referee in the world of football.